It’s that time of the year again; the Good Vibes Festival is back! This year’s lineup is as star-studded as ever with popular indie rock band, Alt-J, the dance duo Odeza, indie-R&B artist Nick Murphy, French DJ Petit Biscuit, and of course, New Zealand’s dark pop queen, Lorde! The festival starts on the 20th and will be on until the 22nd of July and will be at the Ranch in Gohtong Jaya. While you wait (im)patiently for the weekend to come around, here are some of our favourites to help you get hyped for the weekend! Mehdi Benjelloun is a French DJ and one half of the indie-pop duo Mount Dreams with Romain Baulthier aka LUUUL. Indulge yourself in some of his soft and chill tropical house beats such as Sunset Lover, Problem (which features Lido), Memories, and many more. 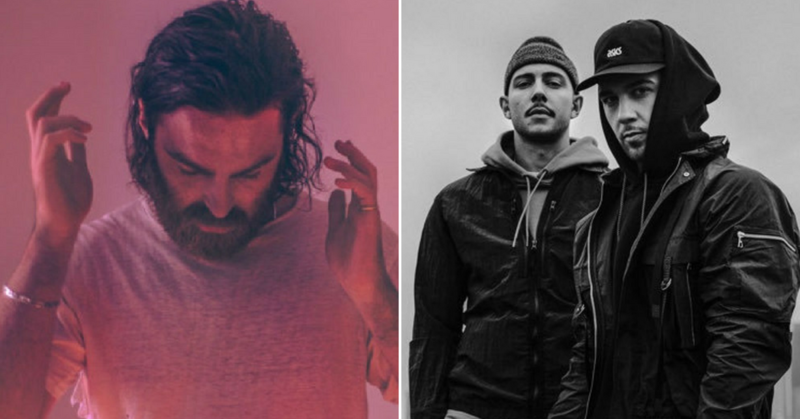 The Canadian R&B duo consists of singer Majid Al Maskati and producer Jordan Ullman, hence the name. They worked on and released their first song together, Hold Tight in just one day, working from Jordan’s college dorm. They later released an EP (Afterhours EP) on Soundcloud under the name, ‘Good People’, which impressed the producer of Toronto rapper Drake. He signed them onto his label soon after. Some of their soothing and beautiful songs include Gave Your Love Away, What You Do To Me, and Her. Nick Murphy, formerly known as Chet Faker is an artist with absolutely No Diggity, known for his cover of Backstreet’s song by the same name. The name Chet Faker was a reference to American jazz trumpeter and vocalist, Chet Baker. However, in 2016, Murphy posted on Facebook that there was an evolution happening and that he would be releasing music under his own name. Immerse yourself in songs such as Gold and Talk is Cheap, and Missing Link to get an idea of what he’s all about. Alt-J (stylized as alt-J) is an English indie rock band from Leeds, known for their experimental style and interesting (if a bit incomprehensible) music videos. The band’s symbol is the capital letter delta, ∆. The reason why the band is called ‘alt-J’ is because to get this symbol on a Mac, one has to hold the ‘Option’ key and then hit J. The reason for their unique sound is the fact that in their early years, they were in student dorms and couldn’t use a bass guitar or bass drums. Some of our favourites from this weird and wonderful band include Breezeblocks, Hunger for the Pine, and Taro. Solána Imani Rowe or SZA is an American R&B singer, songwriter whose debut album Ctrl debuted at #3 on the Billboard Top 200. Some of her hits include Supermodel, Love Galore (which features Travis Scott), and the Weekend. She even featured on Marvel’s Black Panther’s soundtrack with Kendrick Lamar on All the Stars. Ella Marija Lani Yelich-O’Connor or Lorde, as we all know her is a pop sensation from New Zealand who has one of the most distinctive voices and unique aesthetics in music today. Lorde picked her name when she was 16 when she was drawn to nobility and aristocracy. She took the word ‘lord’ and added an ‘e’ to feminize it. Some of her haunting and ethereal hits include the worldwide smash, Royals, her song for the Hunger Games movie, Yellow Flicker Beat, Green Light, and she even featured on Disclosure’s Magnets. And that’s our list, festival-goers and music fans! We hope you like our selection of artists and hope it will help you count the days down until you can stand in front of their stage to watch them perform live. In the meantime, good luck with your last minute preparations, have a great time, and see you on the other side!